Dickinson BBQ Large Propane Sea-B-Que The Dickinson Sea-b-que Large is the largest and mo..
Dickinson BBQ Round Propane Sea-B-QueThe truly innovative Dickinson Sea-B-Que Round, combines legend..
Dickinson BBQ Small Propane Sea-B-QueThe Dickinson Sea-B-Que Small is sturdy, neat and compact. This..
Spitfire 180 Barbeque The Dickinson Spitfire180 barbeque has a sturdy construction with a fancy d..
Kuuma Bbq Propane 125 Stow'N'Go ..
Kuuma Bbq Propane 160 Sng W/Piezo/Ther ..
Kuuma Bbq Propane 216 Sto'N'Go ..
Kuuma Bbq Propane 160 Stow'N'Go 83722 Available only in Canada. 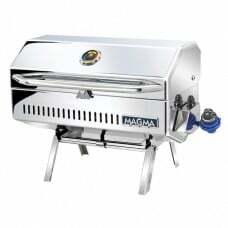 Designed for high pressure,&nb..
• New ultra high temp glass viewing window• New beautiful elegant design, no sharp edges• Completely..
Wind tested for perfect even heat distribution, this grill offers outstanding cooking performance. E.. 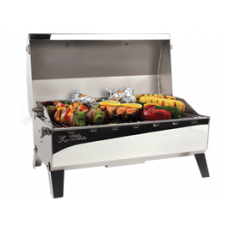 The Force 10 BBQ is an appliance for the outdoors. 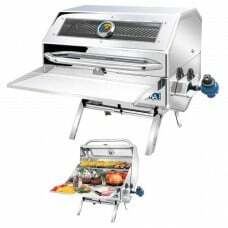 Designed for the marine market all features are .. 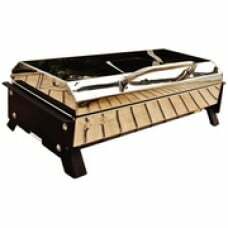 Build great memories on the water with Magma’s completely redesigned Newport II Classic Gourmet Se..
New ultra high temp glass viewing window New beautiful elegant design, no sharp edges&n.. 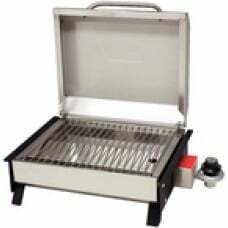 Stainless steel construction, stay cool handle and Integral fold away legs. Propane models can run o.. 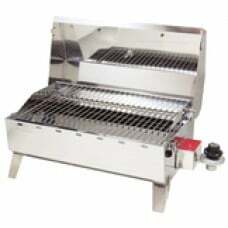 Stainless steel construction, stay cool handle and integral foldaway legs. 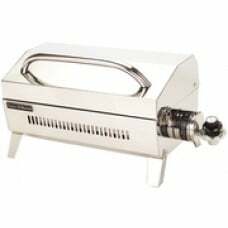 Can run off disposable 1 ..
Has a highly polished stainless steel exterior along with stainless steel parts, including burner an.. 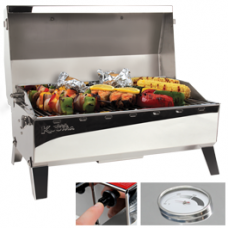 Stainless steel burner, stay cool stainless steel handle and dual lid locks. 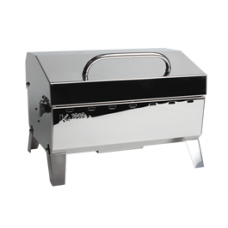 Push button ignition sy..
Time tested original charcoal Marine Kettle grills now have a hinged lid100% 18-9 mirror polished st..